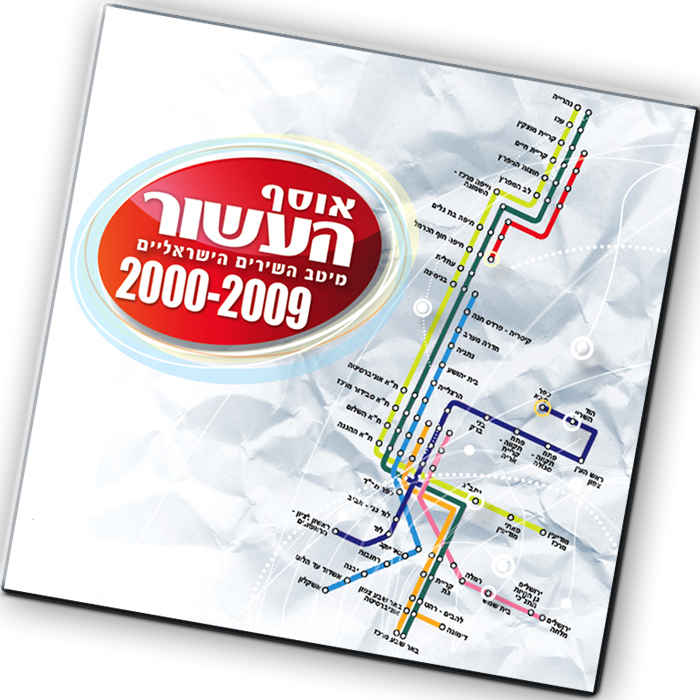 A collection of 56 songs on 3 CDs of the best of Israeli singers from the past decade. On one hand there are veteran artists such as Shlomo Artzi, Rita, Ehud Banai, Meir Banai, Shalom Hanoch, Berry Sakharof, Boaz Sharabi, Chava Alberstein, Eviatar Banai, David Broza, Gali Atari and Shlomi Shabbat, who during the last decade have added new classics to their already magnificent repertoire that have become an integral part of Israeli culture. On the hand are the newer artists such as Mosh Ben Ari, Kobi Aflaflo, Keren Peles, Harel Scott, Shlomi Shaban, Eric Berman, HaBanot Nechama, Rona Keinan, Alma Zohar, Efrat Gosh, Erez Lev Ari, Daniel Solomon, Din Din Aviv, Dudu Tasa, Yoni Bloch, who have broken into the Israeli consciousness during the past decade to join the leading artists of Israeli music.